4100 Series Standard Cabin Sportscruiser Charter powered by 2 x Volvo Penta 370hp with HDP drives (approx. 50 hours from new). 2 x approx. 1,000ltr under floor fuel tanks. Vessel is in 2C and 3C survey, including safety equipment. Fixed foam flotation and wiring to survey standard. Furuno Marine electronics package including 2 x 2kW transducers, Navnet black box, 17” LCD display, GPS, charts, radar, and FCV-295 10” colour sounder. 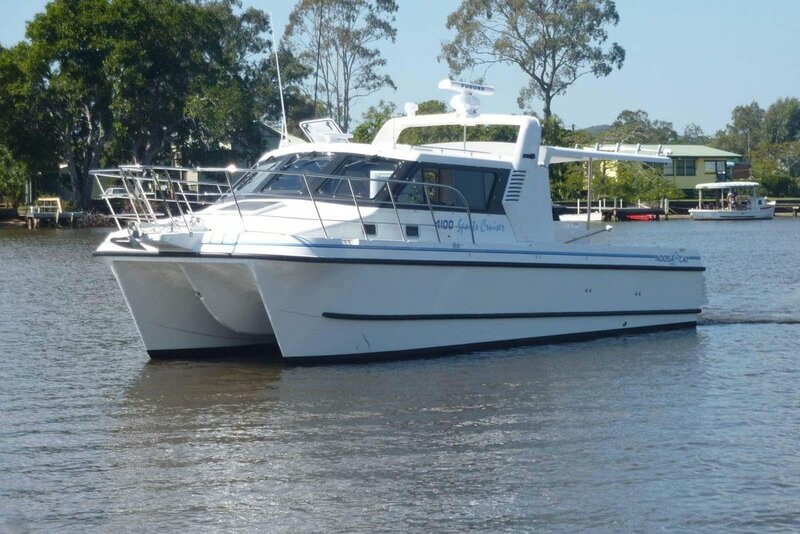 240v diesel genset, 240v hot water system including engine heating connection, 16,000BTU Cruise Air air-conditioning unit, Muir winch, full length moulded fiberglass hardtop, galley and Sportscruiser fit out to Saloon, icebox to settee with overboard drain. Contact sales@noosacat.com.au or 075449 8888 for a full specification and pricing.